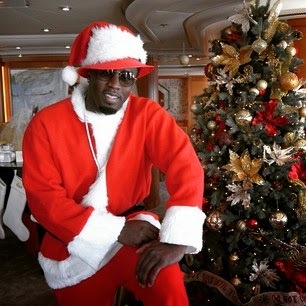 Every year Diddy is posted up somewhere nice with his kids for Christmas.. or any day of the year really. 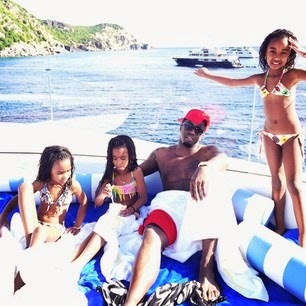 Diddy is one of our favorite celebrity dads. He seems to always have his kids, or at least he posts about them all day every day, and they love him back. 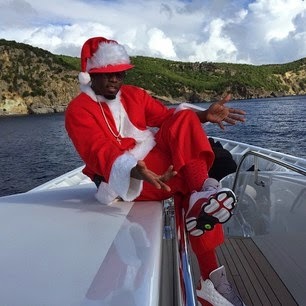 This year, Diddy played Black Santa in St. Barth with a few friends. 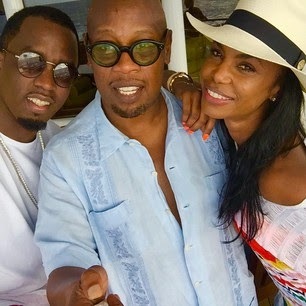 Russell Simmons and his daughters, along with Diddy's best friend and business partner Andre Harrell and his family are also vacationing there this holiday season. Diddy's oldest son, Justin opted to surprise his mom Misa for Christmas posting a video on instagram of himself hopping out of a wrapped box as a surprise. 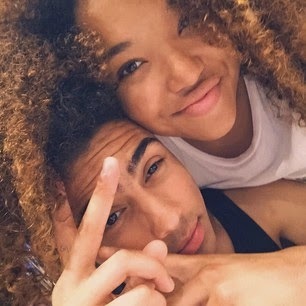 He was the only one missing from the Combs crew, but his brother Quincy made sure to share on his Instagram that it wasn't the same without him there. Just got in & surprised my mom! MERRY CHRISTMAS ma I love you so much!!! @misahylton Good lookin on helping me make this work @jaihudson_ @beautifuljaz love yall!! 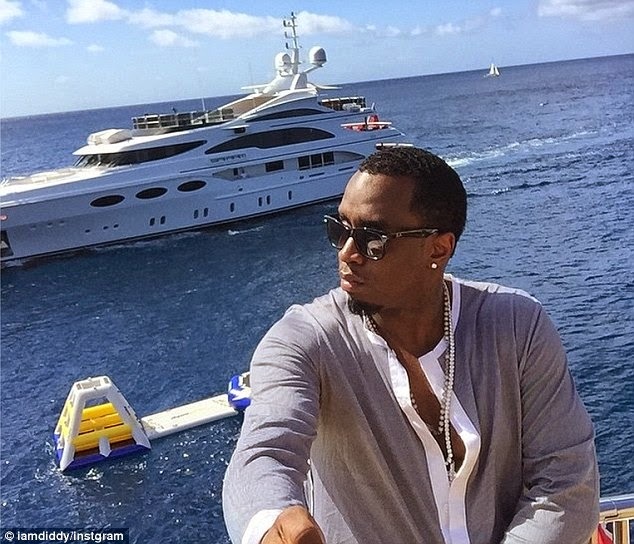 People seem to be really surprised that Diddy's girl Cassie is missing this year. I'm not sure, she's never with them in photos on these family trips. 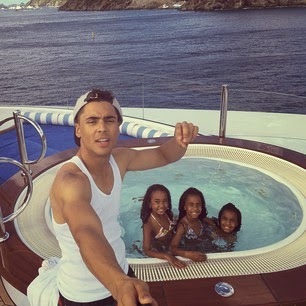 They also seem to be super surprised to see the gorgeous Kim Porter there with the family. I'm not sure why this is a surprise anymore either. Diddy had a serious relationship with Kim for a very long time, and they have 3 young kids together (Quincy isn't biologically Diddy's but they have a father/son relationship and he's not so young). She's always on the family vacations. Now, there are a couple of pics taken that look like the two are still very close. Papz caught a little affection on the top of the yacht and Andre Harrell posted a couple of photos of the two of them together. 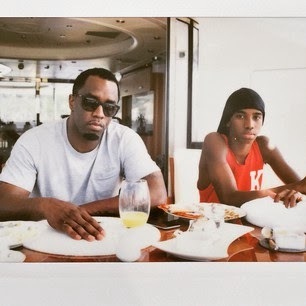 While we don't know if these pics mean anything, we can clearly see that Kim Porter is still a baddie. Sheesh. After y'all peep the photos below.. y'all let me know what you think! Good to see folks enjoying their families this holiday season. The images of the water... oh man! Take me next time! See the pics below of Diddy, Quincy, Christian, Chance, the twins Jessie & D'Lila, Kim, Andre, and Russel Simmons' daughter Ming Lee! Hmmm.... do I sense a reunion or nah? What do y'all think? Where is Cassi at? Kim all over her man and she ain't there? Wouldn't be me!